There are 17 different types of water conditions. And just one technology cannot help purify every water type. To make sure you and your family are drinking not just safe, but also healthy water, it's important to identify the right water purification technology. Here's how you can find out. UV water purifiers are ideal for purification of municipality water. 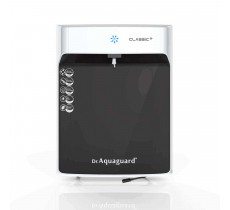 It purifies water using a 3 stage purification process. The first stage involves suspended materials like dust and mud getting filtered out. In the second stage, all organic impurities, foul smell & bad taste, lead, pesticides and VOC are absorbed and removed. The third stage then deactivates virus, bacteria, protozoa and other disease-causing microorganisms. Using ultraviolet rays to purify water, UV technology ensures water is as pure as when boiled for 20 minutes. In fact, it rules out the possibility of recontamination during cooling or handling the water, when boiling it manually. UV purification ensures that no chemicals are used during the process, retaining all the essential minerals your body requires to remain healthy. This technology is ideal for regions that receive hard water, which has high levels of Totally Dissolved Salts (TDS). Reverse Osmosis, or RO technology, involves water being passed at high pressures through a thin film composite membrane. This helps reduce the quantity of salts and minerals dissolved in the water by approx 90%, bringing it down to a level that’s healthy and permissible. Hard water may contain dissolved minerals and salts like arsenic, iron, mercury, lead, fluoride and nitrates etc. RO technology eliminates any physical, chemical or biological contaminants, keeping you safe from waterborne diseases. Several homes are exposed to water from a variety of water sources. 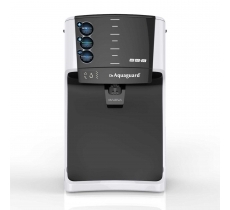 At such times it’s best to use water purifiers using a combination of RO and UV technologies. If you're unsure about which purification technology you need to opt for, request a home demo. Eureka Forbes water experts conduct thorough tests on your water to determine the ideal purification technology.